......and headed to Michael's to pick up "a few things" this afternoon. I needed some paint and a basket and some other odds and ends. Now, let me just back up a minute. Pre-Sam, I used to head out with Mario nearly everyday to run errands and just to get out for a change of scenery. These days, not so much. I save all my errands for one day in the week and get them done as quickly as possible because someone is always ready for a nap, a diaper change or a meltdown. This certainly does not include strolling around craft shops or window shopping at boutiques. I used to go to various craft stores all the time just to browse around, but lately I'm lucky to go once every couple of months. I run in and get what I need while George and the boys wait in the car. So, when my dear friend Deirdre begged me to let her watch the kids, I accepted. She loves my boys and enjoys spending time with them. I needed the break (with George out of town on business quite often) and happily got in the car, iced coffee in hand, cranked up the radio and was on my way! I came home from this shopping outing with much more than paint. Have you seen this stuff at Michael's? 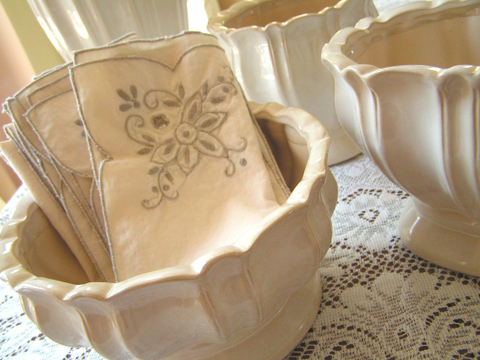 I love these creamy ceramic pieces and they are all 40% off this week. Put 4 of them in my cart. One for pens and markers, one for dinner napkins to sit on the kitchen table, a tall one for fresh flowers and one to hold bits of jewelry and other whatnots in my studio. Then I spied these. Humble plastic eggs given a shiny coating! How pretty. They remind me of Christmas bulbs. Love. Put 3 bags of those in my cart. 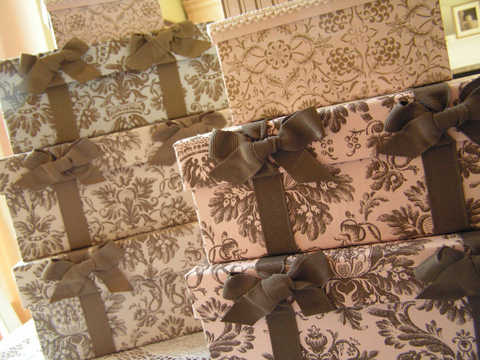 And then, oh my goodness......beautiful fabric covered (sturdy) storage boxes in pink, taupe, cream and pale blue! How many can I fit in my cart? What color should I get? All of them? ok.
And there are pretty nested cardboard boxes too. I can always use these for storage. Can't resist the designs. Must. Stop. Shopping. Now. I left the store delighted with my new finds. All on sale. All from Michael's. Who knew? I know, I can never get out of Michael's with just the supplies that I went in for. Glad you had such fun!! Andrea...you are just so funny! And they really DO need bigger shopping carts at Michael's. 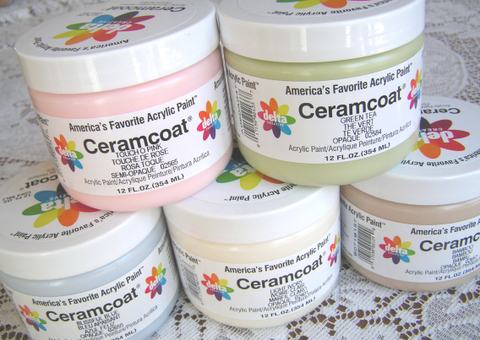 Love everything you got including those big jars of acrylic paint. And I am thinking those pale blue and cream fabric covered boxes would be perfect in my little abode. Thanks for the heads up.. Wonderful things--I'm off to check out the boxes!! I TOO RELISH THE MOMENTS I CAN GO TO A STORE FREE OF KIDS. I LOVE MY CHILDREN, BUT SOMETIMES IT IS NECESSARY TO GET AWAY. YOU DID GOOD ON YOUR SHOPPING SPREE. I LOVE MICHAELS TOO. I LOVE Michaels too. I force my eleven year old to go with me alot- he always whines "mom, not Michaels again...." He bears with me as I quickly scan every isle but of course I love those quiet trips with just me and my debit card where I can browse whining free. :) Well anywho, looks like I am off to check out the storage boxes. Take Care. Arent those boxes from Michaels great! Did you also see the big shadow boxes with the same papers in them? Love them. 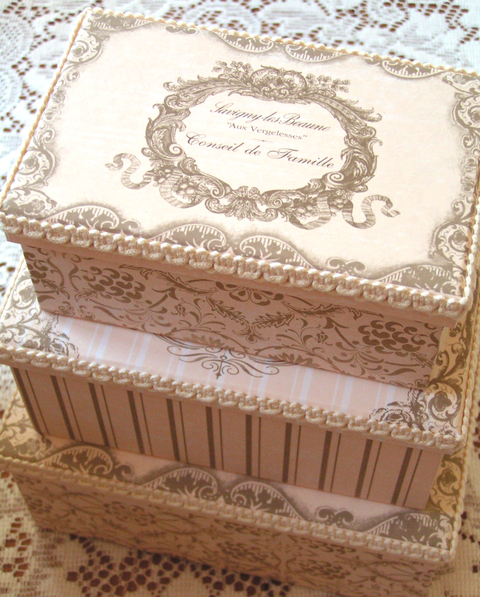 I purchased some of these boxes too, from Michael's and also a lovely glass curio with the same background with a glass knob on it, and I love them! Enjoy your day without kids and your new finds! PS I loved my wallpaper pack I recently ordered from you! Oh wow I love all your finds Andrea! What a delightful shopping trip for you! Wish we had Michaels shops here in Germany too! As a mom myself I need that 20 minute escape, go to Michael's and just pick up some materials and some inspiration here and there, it is a must for moms who love to create!!! 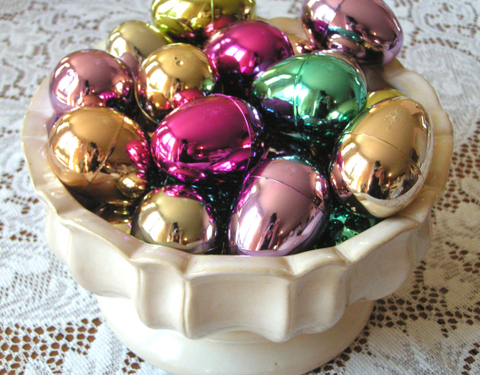 I have to go today (my day off) to pick up some paint and take a look at whats on sale, Like those shiny eggs....what can I do with them? Take care and hugs to the baby and Mario!!! What lovely finds from Michaels! That's on my "sightseeing" list for my visit to USA next month!! Wow, you really made out. I love this little post showing me all the good stuff just waiting for me. Sometimes it just looks better when it isn't surrounded by all the other stuff in the store. Reading this post is kinda like having my own little personal shopper, thanks! What a nice break for you. Yes, I did see all those cute boxes at Michaels. Saw the pots too. Came home with one, myself! That's a great line, isn't it? Enjoy! I'm laughing right now because I'm remembering taking my toddler with me to Michael"s. She knew the store sign when we would drive around the corner & would immediatly start crying, "No mommy, not Michaels again, please"!!! That little stinker! Now she's 12 and I cry, "no Kayla, not Hollister again, please"!!! Ha ha! Your blog is adorable! Thanks for sharing. Sometimes just going to the grocery store can be like a "day at the spa for me". We have a Starbucks in our grocery store so I get a Chai Latte Grande....linger in the magazine aisle longer than usual....and sometimes fall into a partial coma just staring at all the cereal choices. And going to Michaels alone?! It's like a vacation. I saw those boxes which are so charming....but I didn't see those cream bowls. Hmmm....I'll just have to look again. Sounds lovely...I still have a gift card around here someplace for Michaels too! YAY! I feel retail therapy coming on! How wonderful to have such a friend who offered to babysit. Sounds and looks like a fabulous trip to Michaels. Now I think I'll have to make a trip to my local Michaels. I wish we lived just a little bit closer so we could meet at Michaels! Although looks like if I were with you I would be getting into trouble!! i have to get to michaels! That is probably my favorite store. I don't know. Barnes & Noble is close. At any rate, I try to stay out of there. And my poor son says it's the store he dislikes most, because recently we have spent more time than usual. I could spend days in there and easily buy up most of it!! Oh!! I love Michaels so much. I am 12 and I do a lot of bead shopping at Michaels. I have an etsy page and a blog and I do lots of craft fairs. 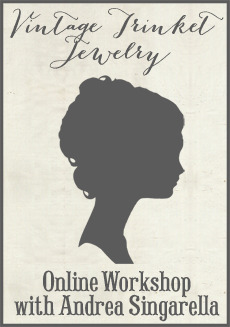 I sell lots and lots of jewelry locally here where I live. I'm always running out of something and sometimes instead of waiting for an order to come from my wholesaler, my Mom takes me to Michaels for the things I'm desperate for. Michaels is a dangerous place! !